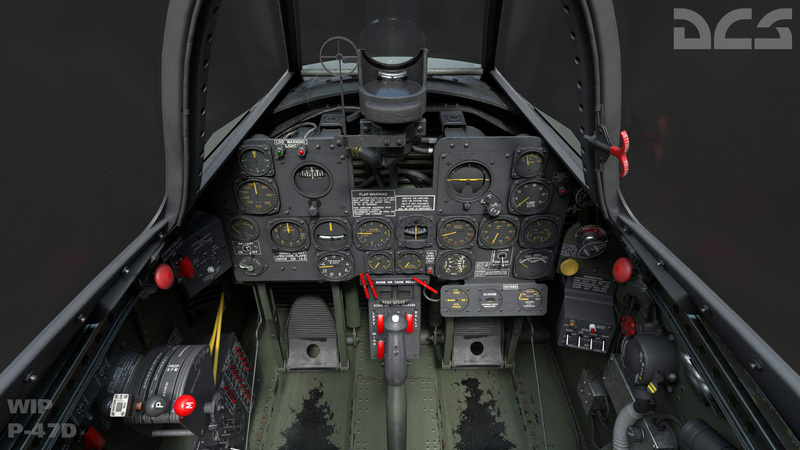 China Asset Pack (CAP) is a free add-on for DCS World developed by Deka Ironwork Simulations. It contains several AI aircrafts, ground and navy units, as well as weapons that have served or are currently serving in China. Deka Ironwork will keep on expanding the asset pack and add more AI units in the future. One of the most exciting features is the Shenyang J-11A (歼-11A) known to NATO as the Flanker B+ whose airframe is based on the Sukhoi Su-27. With 2.5.1, access to this flyable aircraft is available to those who own Flaming Cliffs 3 for DCS World and later on to those that own the Su-27 Standalone. 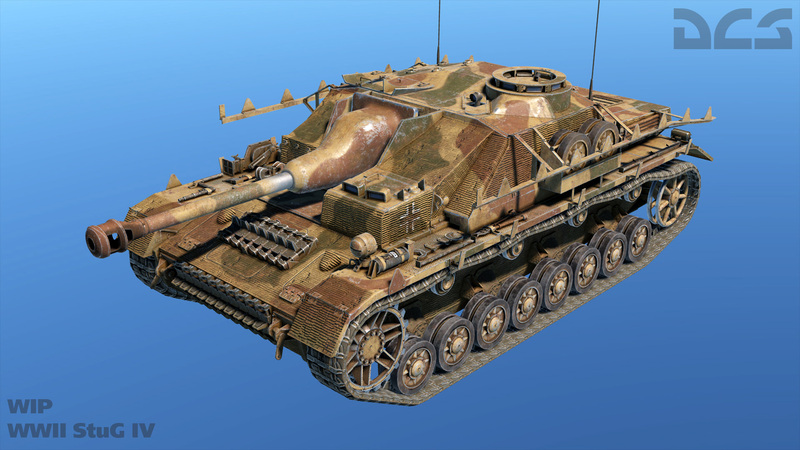 You can read more on these changes in our Forums. Based on real world procedures you will fly as Red Air against Blue Air Forces. Upon arrival you will fly a familiarization flight around the Nevada Test and Training Range (NTTR). Then you will face a series of challenging Basic Fighter Maneuver (BFM) missions against similar and dissimilar aircraft. Matt and Nick are currently in Minsk and Moscow where work on the Hornet and ancillary units is progressing well. Work has started on the management of aircraft on the CVN-74 carrier deck. Departing aircraft will appear in certain parking and elevators positions and will taxi on to the catapults. Recovering aircraft will taxi to free parking spaces. Subsequent aircraft will go to the elevator and de-spawn. On the deck it will be possible to place static objects (aircraft, equipment, loads). For this purpose we’ll provide some new possibilities in the mission editor. A little later, we will show you pictures and videos of this in action. Many of you submitted questions to Nick, and he was happy to answer them for us, from his favorite aircraft, to his thoughts on what is and what he would like to see in DCS World. You can see the answers and discuss them in the dedicated DCS forum topic. 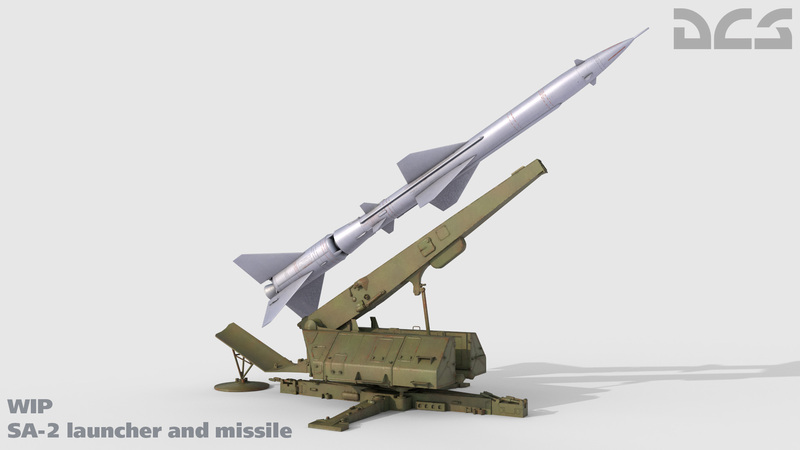 A typical SA-2 SAM battery consists of a “Fan Song” missile guidance radar, six two-stage S-75 missiles with launchers, and reload vehicles. A typical SA-2 battery is laid out with the launchers forming a characteristic “flower” pattern. Multiple batters comprise an SA-2 battalion, with a supporting “Spoon Rest” early warning radar and command and control vans. Three SA-2 SAM battalions are then organized into a larger SA-2 SAM regiment. In consideration of what to work on after the Thunderbolt and Me-262, we asked people to express what they would like to see next, thanks for all the votes, we have submitted the results to the team and will look at what can be done in the future! You can view the results here.